King 810 keep their place on the nu metal scene with their third studio album “Suicide King”. Twelve years after the band's formation, the airtight symbiosis between singer David Gunn and bass player Eugene Gill remains conclusive and offers a powerfully dark-sounding album, brimming with a raging soul and whispering thoughts. We keep track of the usual, familiar touch of the Michigan-natives throughout this new ten-song record – not a renewal, but a deepening evolution. We find ourselves in a poetic violence: surrounded by forceful deep bass notes and explosive drums like their previous album “La Petite Mort or a Conversation with God”, we rediscover the themes of guns with songs such as “Bang Guns” or “.45”, of money with “A Million Dollars”, religion with “God is Watching”, and as an overall thematic, pain and suffering. The lyrics set up as reminders of socio- political situations that haven't changed but still matter. Despite their impactful and personal lyrics, some songs allow us to breathe between two demonstrations of force, like “Black Riffle” and its bluesy tones thanks to the backing chorus and “Wade in the Water”, which both express a certain distress and emotionality. In this record can be found traces of more-or-less regular influences – Korn, or even Rammstein come to mind during the listening of the album, with “Heartbeats” or “A Million Dollars”. 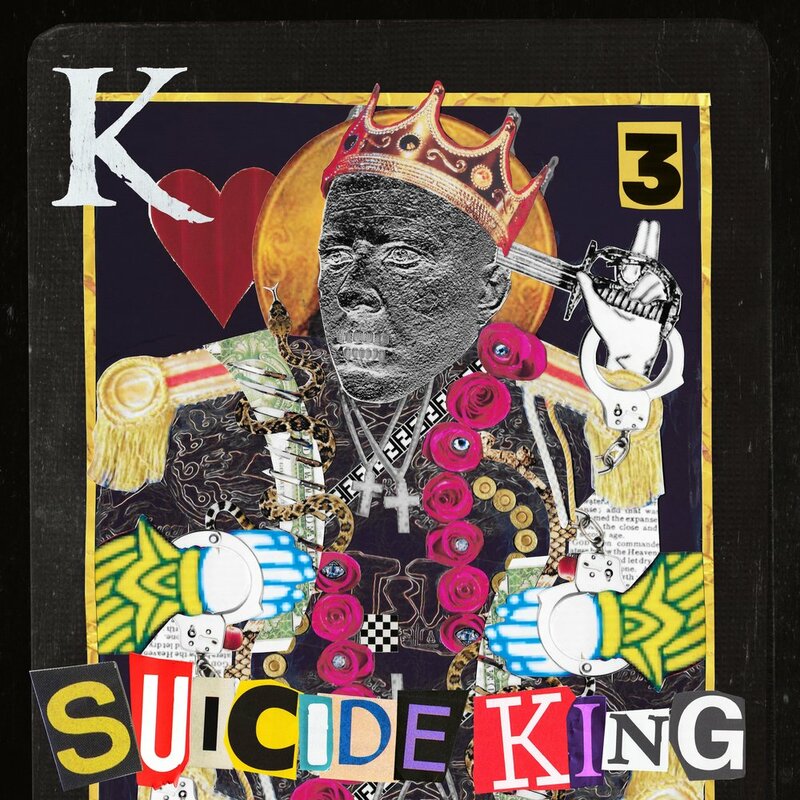 It is nonetheless a very personal style than that emanates from "Suicide King" once again. King 810 keep a specific raw fibre in each and every one of their creations since their very beginning, be it metal or jazzier. Gunn's husky-timbered voice resonates heavily and weds majestically with the thunderous tonality of the songs, leading to an overpowering mix of musical outrage and mastered strength. A unique personality that needs no affiliation – perhaps the reason for this self- release.